The University of the Philippines, the home of the “Iskolar Ng Bayan” is celebrating its 100th Year Anniversary. 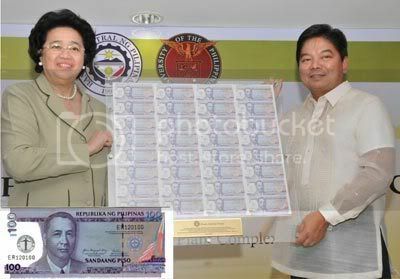 As part of its celebration, the Bangko Sentral Ng Pilipinas released a commemorative note in the form of a 100 - peso bill. The note is printed with no other than the “UP Oblation”. The Oblation, is a masterpiece of Filipino sculptor Guillermo E. Tolentino, was commissioned in 1935 by President Rafael Palma, first Filipino president of the University. His order was for professor Tolentino to translate the second stanza of Rizal's "Last Farewell" into a monument, which has now become the symbol of the University. In modern times, the “UP Oblation” symbolizes academic freedom, excellence, and equality.